Two high-schoolers attempt to cover up the accidental death of a friend. Teen movies have overwhelmingly fallen into one of two genres - horror or comedy. Rarely has the thriller genre opted to give us dramas with youthful protagonists; the most recent mainstream example that springs to mind is the under-appreciated 2007 Shia LaBeouf vehicle Disturbia, which repurposed Hitchcock's Rear Window for a teen milieu. 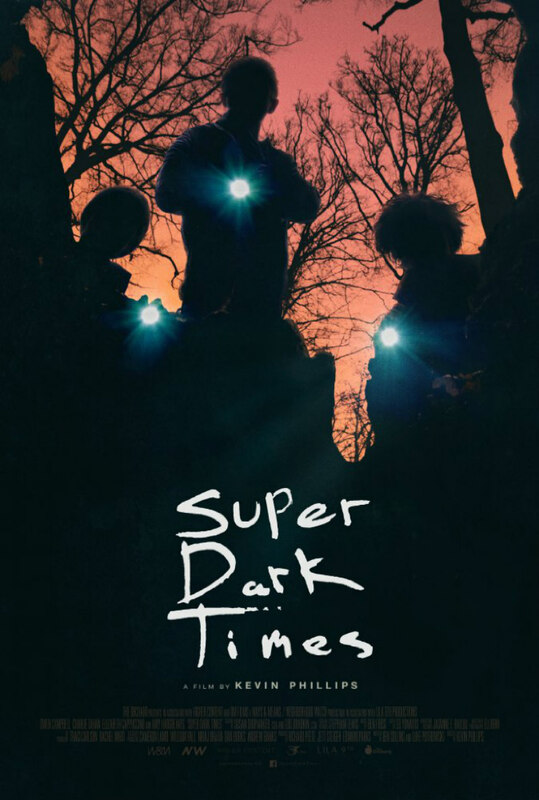 As director Kevin Phillips' feature debut, Super Dark Times, so explicitly demonstrates, adding the paranoia and insecurity of teenage life to a thriller narrative is a recipe for a highly compelling watch. Set in the '90s, Phillips' film never revels in its setting, unlike the many '80s set movies and TV shows that have sprung up in recent years. The '90s is a decade that doesn't really have its own cultural identity, the shy, introverted teenage sibling of the excessive, energetic and youthful decade that came before it. The teenage protagonists of Super Dark Times ride functional mountain bikes rather than BMXs or Choppers, and the video games they play seem to bring them little joy. Like the decade they're stuck in, they find themselves in a limbo, too old for childish pursuits and too young to cope with the accountability of adult life. Best friends Zach (Owen Campbell) and Josh (Charlie Tahan) are forced to grow up quickly when a moment of horseplay in the woods on the edge of their small New England town results in the latter accidentally plunging his brother's deadly samurai sword into the throat of Daryl (Max Talisman), an obnoxious boy they know from school. After much gurgling, Daryl collapses with a thud, the life having flowed out of him. Following an initial panic, Zach suggests they cover up the corpse, throw away the sword, and pretend the incident never happened. Zach soon learns things aren't so simple, as he becomes plagued with nightmares and grows increasingly paranoid about the worryingly disturbed behaviour of Josh, whose first taste of blood may have unleashed the sociopath that bubbled under his awkward, nerdy surface. The accidental killing that launches Super Dark Times' thriller plot comes a mere 15 minutes in, but Phillips and writers Ben Collins and Luke Piotrowski make great use of that time to establish the dynamic between their initially goofy protagonists. They're a typical pair of teenage boys, obsessed with girls and always feeling the need to adopt a facade of braggadocio in each other's presence, but both seem likeable sorts, though there are hints that Josh's self-exile from a society he feels uncomfortable in may have consequences. Thrillers often have a tendency to make us root for protagonists whose actions we would deplore in real-life - a sort of cinematic Stockholm Syndrome - but Zach is genuinely endearing, particularly in his adorable relationships with his single mother (Amy Hargreaves) and his high school crush, Allison (Elizabeth Cappuccino, whose big-eyed charm recalls Freaks & Geeks era Linda Cardellini). We sincerely want Zach to climb out of the increasingly deep hole he's dug for himself, which goes a long way to adding extra weight to the film's multiple twists and turns. Campbell delivers an outstanding performance here, an ironically mature take on a very immature character. With his wide-eyed innocence, he reminded me a lot of a young Jake Gyllenhaal, and with its suburban Everytown America setting, Super Dark Times recalls Donnie Darko in tone, though it's far more cohesive in its blending of genre tropes and teen drama. What prevents me from declaring Super Dark Times a contemporary classic is its climax, which feels rushed (this is a rare modern movie that could have benefitted from a longer running time) and devolves into generic hero versus psycho territory. The resolution that ultimately follows however is unconventionally honest in its bleak implications, a reminder that while Super Dark Times is an old-fashioned piece of American screen storytelling (a rapidly diminishing craft we once took for granted), it's far from a generic piece of Hollywood product. Super Dark Times is on VOD now.